Technology Integrated Learning is located in suite 034 at the Mearns Centre for Learning - McPherson Library. Our facilities include staff office space, a seminar and meeting room, and workshop classroom. If you are attending a workshop, or meeting with one of our staff members, proceed down the main stairs on your left from the main entrance. Once on the lower level, look for the floor to ceiling windows and student lounge area. 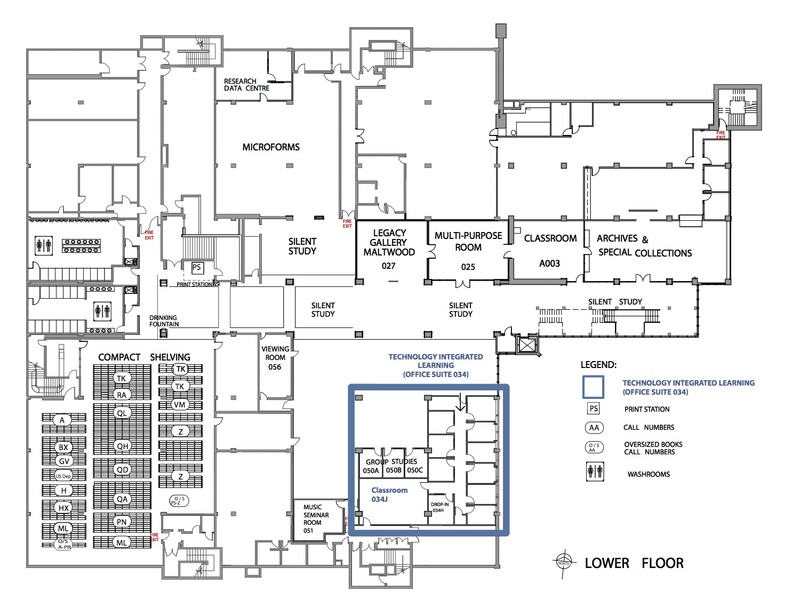 You can also proceed down the library's main hall to the elevator for access to the lower level. The entrance to our office area is just to the right of the windows. If you have taken the elevator, turn left and left again.